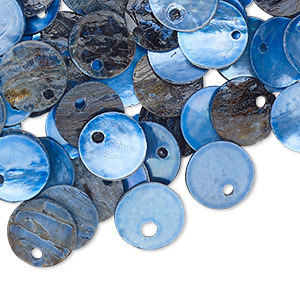 Drop, mussel shell (dyed / coated), dark blue, 15mm flat round. Sold per pkg of 100. Item Number: H20-7832NB Have a question about this item? 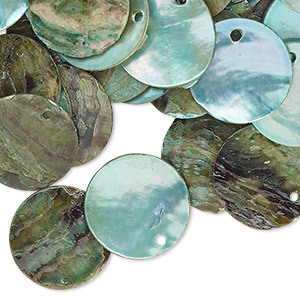 Beautiful color with a lustrous finish, Chinese mussel shell drops create lively style. One side is smooth and reflective, the other side is rough--switch to match your mood. Dangle the lightweight drops from necklaces, earrings and bracelets for organic, yet glistening style. Colors may vary from dye lot to dye lot. Testing for colorfastness is recommended. Drop, mussel shell (dyed / coated), dark blue, 10mm flat round. Sold per pkg of 100. 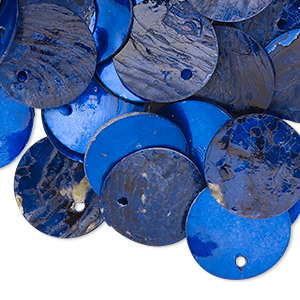 Drop, mussel shell (dyed / coated), dark blue, 20mm flat round. Sold per pkg of 25. 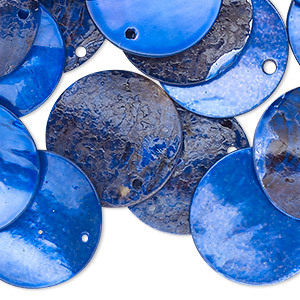 Drop, mussel shell (dyed / coated), blue, 15mm flat round. Sold per pkg of 100. 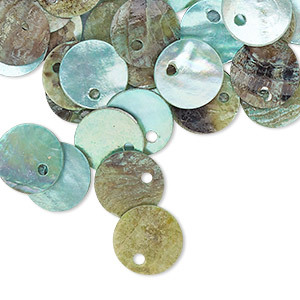 Drop, mussel shell (dyed / coated), blue, 10mm flat round. Sold per pkg of 100. 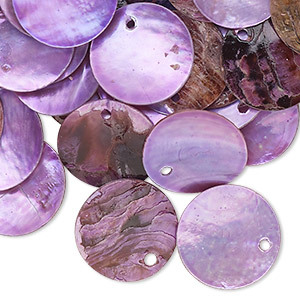 Drop, mussel shell (dyed / coated), light purple, 15mm flat round. Sold per pkg of 100. 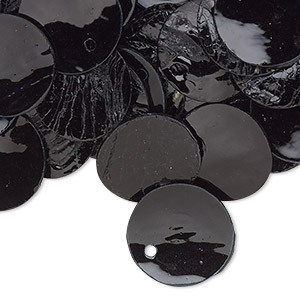 Drop, mussel shell (dyed / coated), black, 15mm flat round. Sold per pkg of 100. 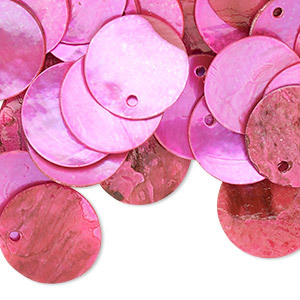 Drop, mussel shell (dyed / coated), fuchsia, 15mm flat round. Sold per pkg of 100. 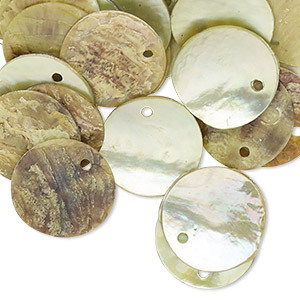 Drop, mussel shell (dyed / coated), lime, 15mm flat round. Sold per pkg of 100. 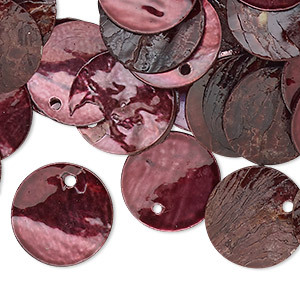 Drop, mussel shell (dyed / coated), dark brown, 15mm flat round. Sold per pkg of 100. 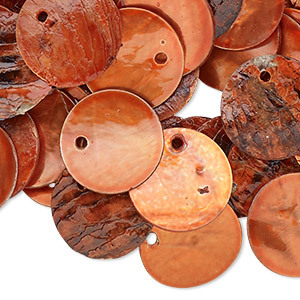 Drop, mussel shell (dyed / coated), orange, 15mm flat round. Sold per pkg of 100.